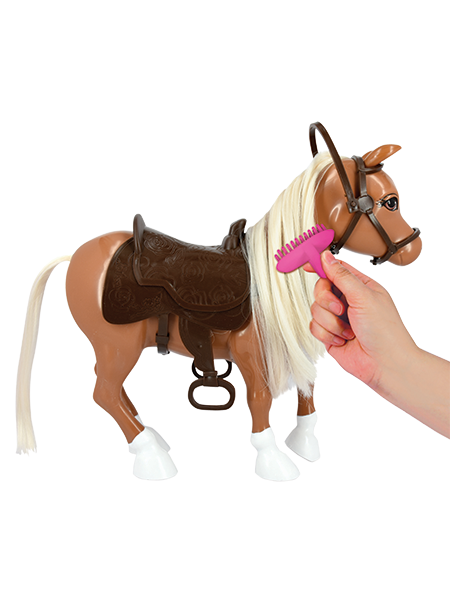 Who doesn’t want to have a pony! 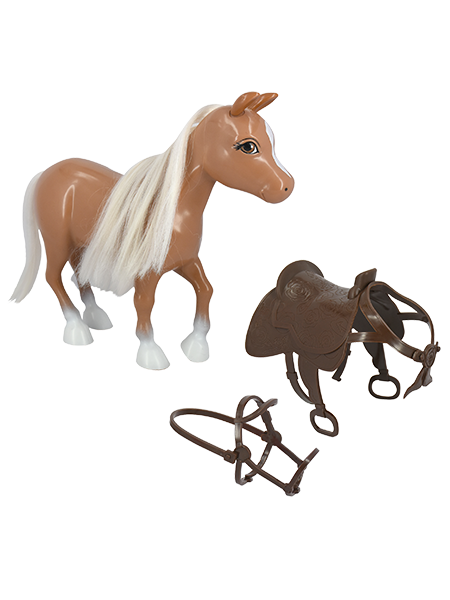 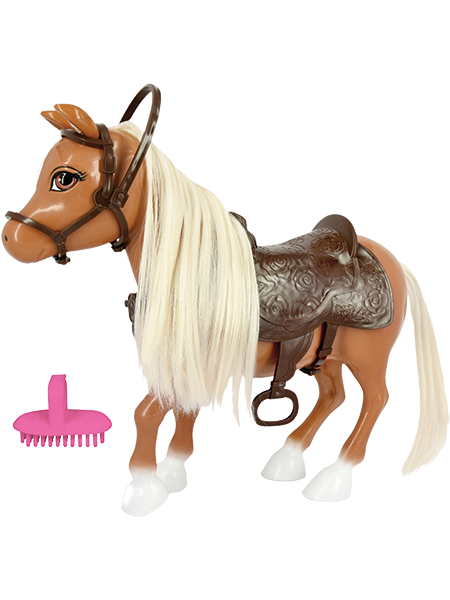 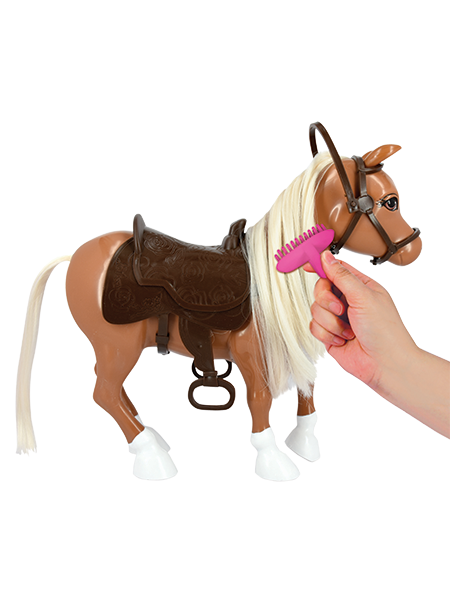 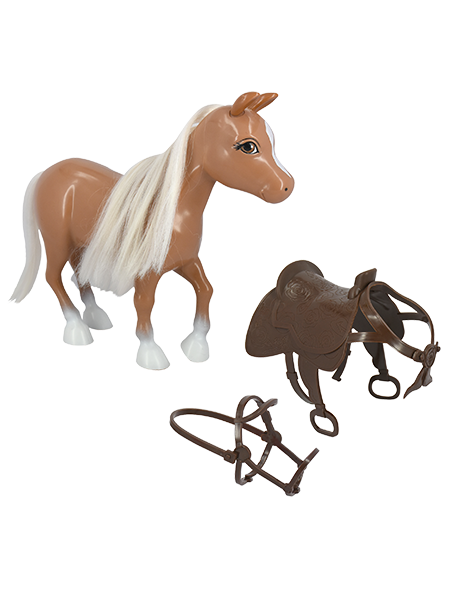 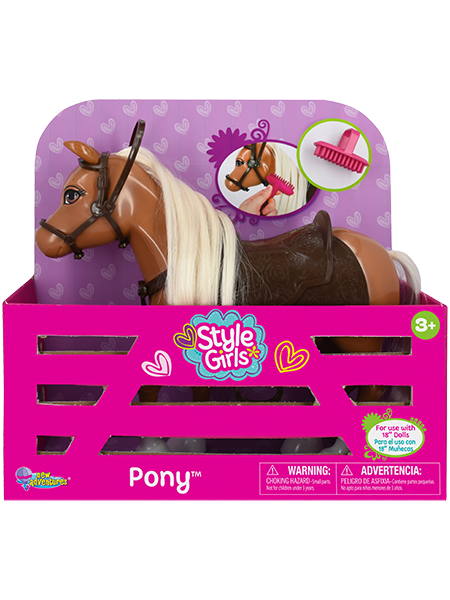 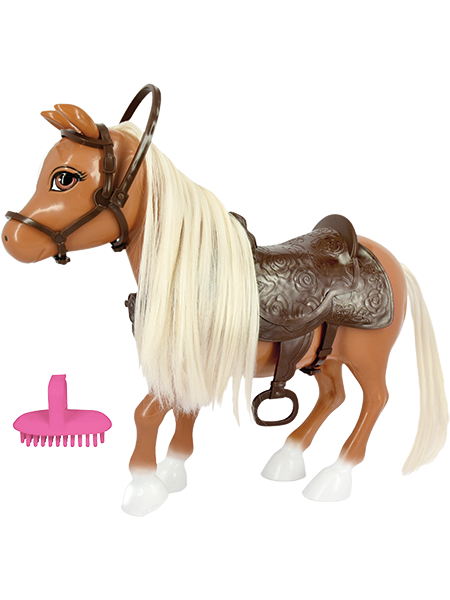 Includes molded pony with brush able hair, brush, saddle and bridle. 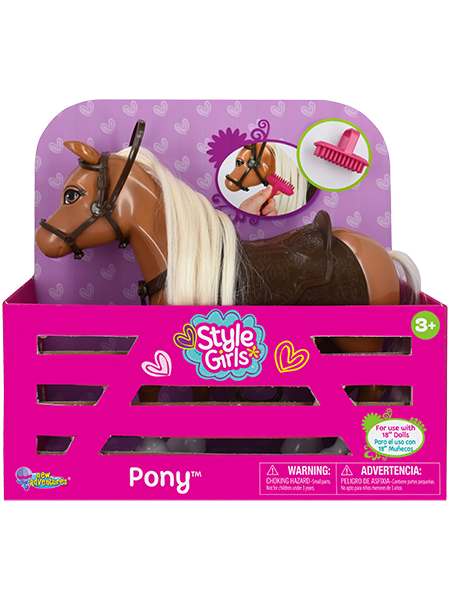 Pony fits most 18″ dolls.